The following report was submitted by the Presbytery of Lake Erie after it received a Mission Travel Grant (more here) worth $2,800 and an Abundance Grant (more here) of $3,000 from the Synod of the Trinity. 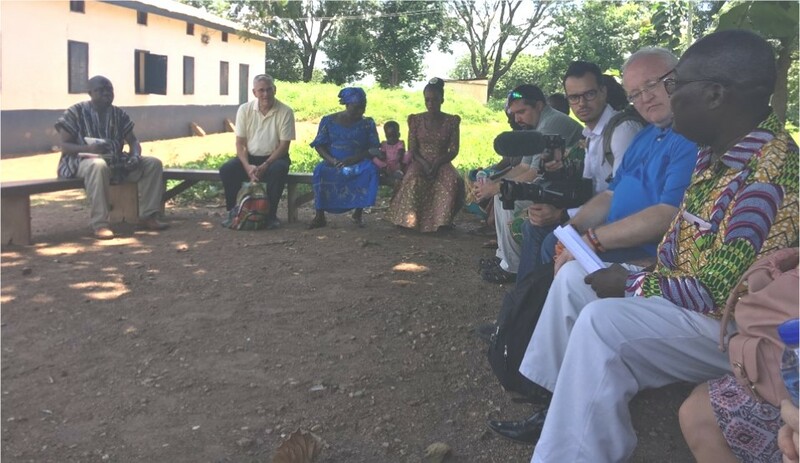 The Presbytery of Lake Erie engaged in an international mission partnership trip to Ghana from Sept. 5-16. A total of 11 people representing the presbytery made this trip. The first part of the trip allowed participation in the Ghana Mission Network meeting at Abetifi, Ghana. The remainder of the trip was spent in northern Ghana participating in partnership conversations with the Upper Northern Presbytery of the Evangelical Presbyterian Church, Ghana. It was a fruitful trip that will continue to help both presbyteries to build on this seven-year international partnership. It takes time to build trusting relationships, especially when people do not see one another regularly. This is the fourth time people from Lake Erie have traveled to Ghana. And four times Lake Erie has been able to host visitors from Ghana. At least 15 churches in the Presbytery of Lake Erie have engaged actively in this partnership – learning from a different culture, gaining insights from the deep theological convictions of Ghanaian Presbyterians and observing their passion for the Gospel. There is energy in the Evangelical Presbyterian Church, Ghana. We learn from them. In this shared journey, the Ghanaian Christians have learned of the challenges of being the church in North America. And North American Christians have learned of social justice issues in Ghana – including matters of education, the differences between the north and south in Ghana (including social and economic disparity) and spiritual warfare in “witches camps” that are not seen in the United States. The trip ended with a journey to Cape Coast where an estimated 4 million Africans were shipped to the New World as slaves – a sobering reminder of an overwhelming social problem that reverberates still centuries later. These issues – and others – have helped some of the U.S. participants gain greater insights on matters of social righteousness. Every trip to Ghana re-emphasizes what all Christians can learn from different cultures. This trip included several new travelers from the Presbytery of Lake Erie. 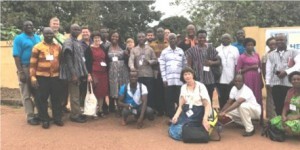 They were able to see, firsthand, the deep hospitality of Ghana that has direct implications for building a spirit of hospitality in northwestern Pennsylvania. A deepening awareness of our common bonds in Christ also emerged. 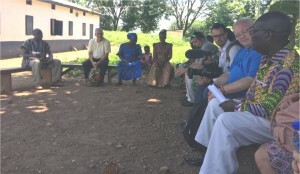 And the conversations with presbytery leaders, as well as in the national office of the Evangelical Presbyterian Church in Ho, helped to set direction for the partnership in the coming months and years. Taking the information to various churches in the Presbytery of Lake Erie. Reporting to the Presbytery at the November 2017 presbytery meeting. Continuing to help develop the Wapuli Clinic in northern Ghana, a ministry of the Upper Northern Presbytery. With the aid of one the trip participants who is an informational technology specialist, we will continue to enhance the IT center in Tamale, Ghana. Continue to build relationships between Ghana and the United States. Ministry is not only about money; it is about relationships centered in Christ. In addition, this trip included a filmmaker who is a native of northwestern Pennsylvania and now employed at Columbia University. He is producing two films (one shorter and one longer) that will tell the story of the partnership in visual form. These films will be used as educational pieces for individual congregations. Projects involving shea butter (the raw materials purchased in Ghana) are underway in one of the Lake Erie congregations as well. This is a partnership that will continue to bear fruit into the future.